Evenflo recalled 56,000 of its Transitions Three-in-One Combination Booster Seats that were made between Dec. 18, 2014 and Jan. 29, 2016. Evenflo is recalling over 56,000 child safety seats because curious children can loosen the internal harness, increasing the risk of injury in a crash. 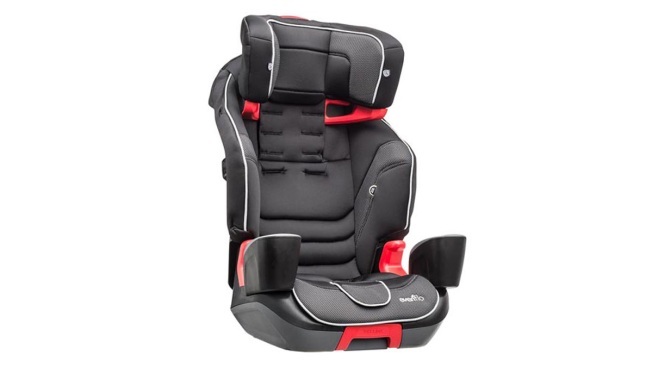 The recall covers Transitions Three-in-One Combination Booster Seats made from Dec. 18, 2014 through Jan. 29, 2016. The company says in government documents that the central front adjuster button that loosens the harness may be within a child's reach. If the harness doesn't fit snugly, that increases the chance of injury. Evenflo says the problem only affects the seats when they're used as forward-facing harnessed boosters. The company says no injuries have been reported. The problem was discovered in late January during Evenflo's analysis of consumer feedback.